Take a closer look at spots tourists love and local families’ favorites to discover don’t-miss attractions when exploring Philadelphia, Pennsylvania with the family. To make exploring easier, Philadelphia is a participant in CityPASS, a discount ticket program which lets visitors skip most main-entrance ticket lines and save up to half off at up to a dozen popular attractions. Review what’s available, make your pick of a three, four or five attractions pass and save; note that if you purchase a pass through this link, you will support our site with a commission. Getting around Philly is easy too: the Phlash is a fun hop-on, hop-off bus that circles downtown’s major landmarks, making 20 stops. It costs $5 per day or $2 per ride; worth it. With older kids, book a free walking tour with Free Tours By Foot, who offer a 2-hour guided adventure at no cost, just for tips! For more information on Philadelphia events, check out Visit Philly. 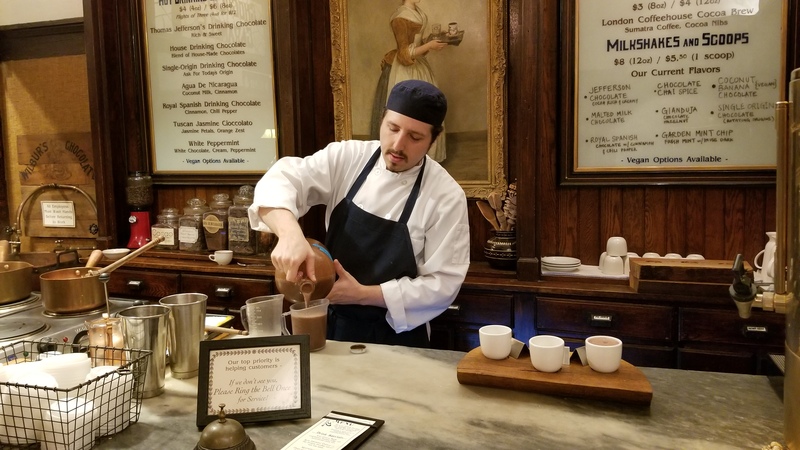 Enjoy hot chocolate prepared in the colonial style at historic Shane’s Confectionary in Philadelphia. One of the country’s best children’s museums and the first designed for children 7 and under, the vast, two-story Please Touch Museum is surprisingly quiet for such a busy place. They treat kids to rich interactive zones like Alice’s Wonderland, River Adventures, a huge waterplay area and fun traveling exhibits about kids around the world. Don’t miss their National Historic Landmark space built originally for the country’s centennial in 1876; there’s a wooden carousel, kid-friendly café, parking and the Kids’ Store. First Wednesday of the month, admission is $2 from 4pm-7pm. This contemporary science museum, engaging for all ages and a star attraction, is dedicated to one of the city’s most famous minds. Exhibits that delight kids include a sports zone, walk-through human heart, the chance to sit in the cockpit and control a T-33 jet trainer and the Fels Planetarium. There is also an IMAX theater, escape rooms and the Sky Bike – where visitors can ride a bicycle along a one-inch cable, three stories above the ground (netting included). Kids will love this classic yet updated natural history museum for its vast collection of dinosaur bones and fossils, including the T. Rex and its larger challenger Giganotosaurus. Check out the “dig” area where kids can search for real fossils. Parents will be intrigued to visit the first museum of natural history founded in the United States, dating from 1812. As the first zoological park in America, established in 1874, this zoo is an historical attraction in itself. Besides the more than 1,300 animals on display, notable attractions include two very rare white lions, a toddler-friendly Children’s Zoo, a camel safari, and the Small Mammal House. When you’re done, stroll over to the Fairmount Park and Waterworks and watch the dozens of rowing crews plying the Schuylkill, as well as the park’s Waterworks, the first steam-pumping station of its kind in the U.S., a National Historic Engineering Landmark, designed by Frederick Graff. 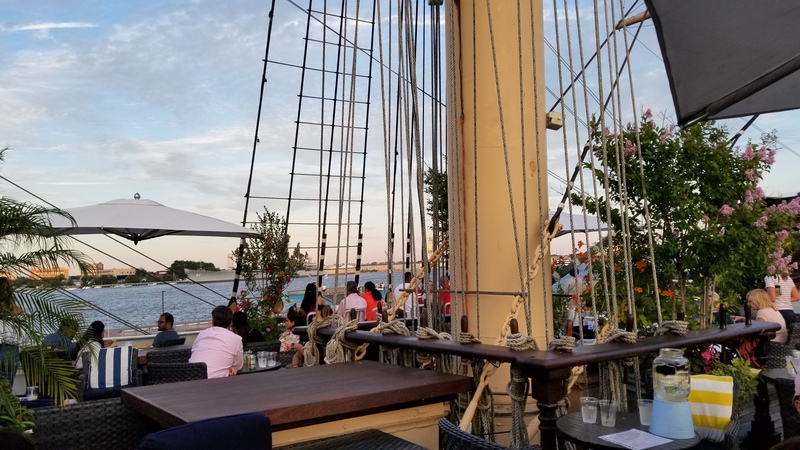 Tour Philadelphia’s historic Seaport from the upper deck bar at the Moshulu, a restored clipper ship. At this clever nautical museum children can view naval wartime artifacts, dozens of model ships, jump in a kayak or rowboat to row around the protected basin off the Schuylkill River, utilize a miniaturized crane to unload cargo from container ships, and purchase tickets to tour two warships at Penn’s Landing. The U.S.S. Becuna is a 318-foot-long submarine of the World War II “guppy class.” Kids and navy fans will love the submarine veterans who guide tours that detail what life was like at war in these tight quarters. Visit the U.S.S. Olympia, the last remaining flagship cruiser from the Spanish-American War, and don’t miss the museum’s interactive boat building exhibit. Each Saturday features activities for the youngest kids. A walking tour through the Old City is the best way for the family to gather an impression of Colonial Philadelphia. The Insta-worthy brick houses of Elfreth’s Alley make up one of the oldest preserved residential communities in America. Check out the kids audio tour (ages 4-8) or meet the Ms. Ross interpreter at the Betsy Ross House, for a better look at the presumed seamstress of the first Stars and Stripes. Another great stop for young kids is the Fireman’s Hall Museum at 147 North 2nd Street, dedicated to the complete history of fire fighting. In summertime, look for the costumed re-enactors from Once Upon A Nation, the group that organizes free storytelling benches at 13 locations around Historic Philadelphia, including Christ Church, Franklin Square and Signers’ Garden. Children can obtain a Story Flag at any bench, collect a star from each storyteller and exchange the flag complete with 13 stars for a certificate and coupon book at the Independence Living History Center or the Franklin Square Shop. Please read more about the fascinating historical sights that engage kids in the Historic Philadelphia district. With some historic artifacts of the period and many multimedia displays, this new museum explores the ideals of the American Revolution and the role that citizens played in shaping a new country. Don’t miss the two films shown regularly, which effectively bring the era to life. Revolution Place in the lower level is an interactive space designed to engage ages 5-12. One of the best archaeological/anthropological collections from Egypt, Greece and Rome in the world, this museum at the noted University of Pennsylvania offers great exhibits to intrigue history buffs, as well as incredibly rare antiquities. Ancient wonders include an exhibit of the world’s oldest writing and a 12-ton Sphinx from Egypt, gathered during the university’s early-20th century digs. There are new Middle East Galleries, with more renovation underway. Closed Monday. Incredible, if gory, collection of preserved brains and body parts, 189 skulls and exhibits and artifacts that span the history of medical science. Of particular interest are the connected livers of famous Siamese Twins Chang and Eng, slides of Einstein’s brain, President Grover Cleveland’s jaw tumor and the rotating exhibits that highlight new items in this 19th century setting. A fun and unusual afternoon outing for the family. Children under 6 are admitted free, though they may find some of the displays a little frightening. Older children will enjoy this museum devoted to the extravagently costumed Mummers, a mysterious fraternal order who stage a parade up Broad Street every year on New Year’s Day. Opening hours and scheduled programs are limited and little has been updated, so please check their website for up to date information. The Presidents’ House is a fascinating part of Independence National Park, so skip the Liberty Bell lines. Philadelphia’s most famous monuments to the country’s founding are organized into a national park run by park rangers, who provide free and informative walking tours during the summer. 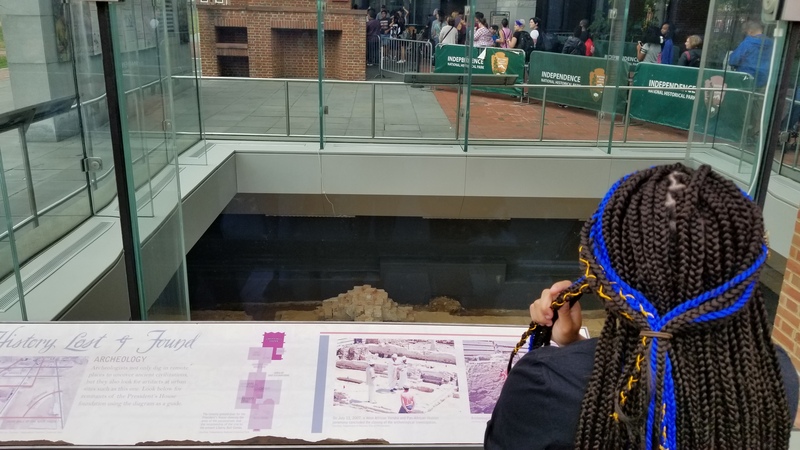 Year round, they also provide commentary at several places in and around the Liberty Bell, whose history, from the time it beckoned Philadelphians to the first reading of the Declaration of Independence, to its repeated cracking and recasting, is fascinating. If the wait is too long or you arrive after visiting hours, admire this heirloom through the glass walls protecting it, and listen to a recorded rendition of the bell’s history. Splurge on an immersive walking tour with talented, costumed re-enactors as they show visitors some of Philadelphia’s most famous landmarks. You also have the exclusive opportunity to visit Independence Hall at night without the crowds. This walking and dining tour allows guests to experience what those late nights of the summer of 1776 were like for the Founding Fathers, starting with a delicious three-course meal at the Historic City Tavern (alert the City Tavern staff or the Once Upon a Nation team to any allergies or special needs). Guests are then whisked away into Independence Hall, where they can “sneak in” to see the Founding Fathers’ discussion over the creation of the Declaration of Independence. This colorful cast of characters certainly brings the tour experience to life as guests not only speak with some of the nation’s famous founders, but also the “average” colonist as they stand witness to the birth of the nation. Well worth it for families whose kids are studying this era in U.S. history. Honor and better understand America’s Constitution through interactive and multimedia exhibits and artifacts. Your family will interact constantly with the displays, which range from live performances to video carousels, lifesize statues of the Signers, sounds, photographs, historical artifacts, real-time polls to Supreme Court benches, and other techniques aimed at engaging citizens in appreciating and interpreting the constitution. Complements the attractions of the Independence National Historic Site and resonates in today’s political climate. Special for kids programs on certain holidays. Among the city’s leading cultural attractions, the museum may be best known for the 99 steps leading up to the main entrance that were immortalized in the movie Rocky. (Yes, a selfie spot with a cheesy Rocky statue made for Rocky 3 is at the foot of the stairs.) There are broad and deep collections of most genres in this gem of a museum, often accompanied by special exhibitions that range from small, tightly focused to major traveling international loan exhibitions. The first Sunday of the month and Wednesday after 5pm focus on kids’ programming and reduced admission (free for ages 12 and younger). The collection of Albert Barnes, a chemist who began collecting art in 1922, contains over 800 paintings by the best modern and Impressionist masters. Originally located in the Barnes’ home in Merion, Pennsylvania, it was relocated to a stunning new complex downtown after much controversy over the intent of Dr. Barnes’ will. Today, the collection is hung in exactly the same position and order as it was in Merion, grouped for study and comparison as he had designed for the art students who filled his home. Treasures include significant paintings by Cezanne, Degas, Matisse, Modigliani, Picasso, Renoir, Rousseau, Seurat, Soutine, Van Gogh and other American and European masters — selected by Dr. Barnes’ unfailing eye and team of expert curators. For the family wishing to sample the diverse gastronomic pleasures offered by the city, this extensive market has more than 80 food stalls and many shops selling homemade jewelry, beauty products and crafts. We particularly like the Amish pretzel makers, Bassetts ice cream and Keven Parker’s Soul Food Cafe, which serves fried chicken and candied yams where a long-gone favorite, Delilah’s, used to be. Great for budget souvenir shopping. This small, interactive museum on the Liberty Trail features 350 exhibits of famous thinkers and freedom fighters thoughout history and around the world. NLM boasts exhibits depicting various ideals of American life, such as democracy, liberty, and tolerance as told through their heroes. There’s a simulated voting machine for kids, a collection of White House china, a stained-glass depiction of Noah’s Ark, and two life-size statues created entirely from 25,642 jellybeans whose colors symbolize diversity. A real conversation starter. This addition to Independence Mall traces the history of Jewish people in America from colonial days to the present, focusing on the issues of immigration, continuity and assimilation. In addition to special exhibitions, 20,000 objects make up the Core Exhibition: Foundations of Freedom (1654-1880), Dreams of Freedom (1880-1945), Choices and Challenges of Freedom (1945-Today), and the Only in America Gallery Hall of Fame which features the stories of individuals from Irving Berlin (along with his piano), to Sandy Koufax, Jonas Salk and Barbra Streisand. This 642-room structure, the largest, tallest, and most expensive city hall in the country, is well worth a short visit from the family. Don’t miss the bronze plaques in the courtyard with sayings by famous Americans. While you’re touring the area, be sure to stop by Macy’s at 13th and Market. Almost as iconic as City Hall, it occupies the old Wannamaker’s Department Store, known to generations of visitors for its spectacular pipe organ, dating from the 1904 St. Louis World’s Fair. The 28,500-pipe organ gives free 45-minute concerts daily and thrills kids each winter with a remarkable Christmas show.